Nothing like getting winter all in one week! As I’m writing this on Sunday morning, a cardinal, blue jay and several winter robins are eagerly pecking at the bird feeder outside my window before the next storm hits. In summer, we have beach days. In winter, we have snow days. I love a good snow day when you are forced to slow down, snuggle up and take stock of what you have. These impromptu vacation days for me are filled with things that bring me joy. It could be a slow cooked roast in the oven, watching a movie or reading a book by the fire, even working without interruption. There is no expectation of the day. There is no plan. I don’t have to be anywhere at any time. Instead I get to create my day. How can we take the lessons of a snow day to our regular days? Remove expectations – Prepare for your day and then let go. 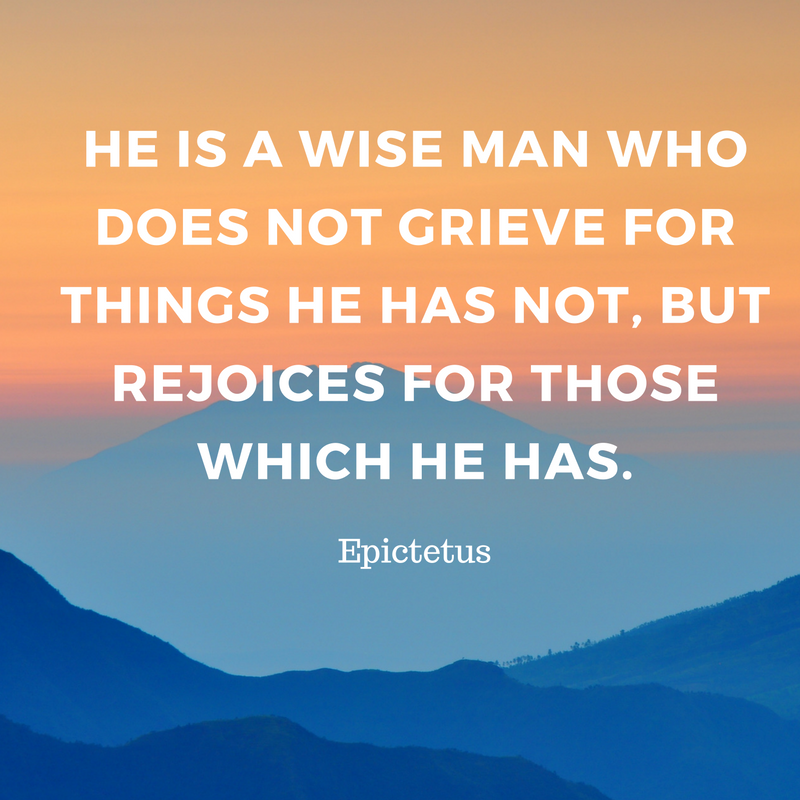 Recapture the joy of the moment. Be honest with time – You can’t do it all, so focus realistically on what you can do. Watch stress melt away. Schedule time off – Take your vacation. Plan your personal days. Put them in the calendar and honor them. Treat yourself – Snuggle in bed and read. Set the coffee to go off in the morning so it is ready for you. Take a walk alone. Tell someone you love them…every day. This week try one or two of these. Or, let me know what you do to carry the feeling of a snow day back into the regular world. Get Our Monday Morning Inspiration Delivered to Your Inbox. Here we are at the end of January. Last week I found myself wondering where the month went. It seems like yesterday we were ringing in the new year. Suddenly spring is in reaching distance. Are you like me, telling yourself you will start that new book, lose weight, learn to paint, next week, next month, this summer? Well my friends, it is time to start today. This is that moment you promised yourself months ago to start something you’ve always wanted. Pushing it off another week is telling yourself you aren’t worth it…and you are. There will always be something more important on the front burner, but you don’t want to get to an age where you regret the things you never did. 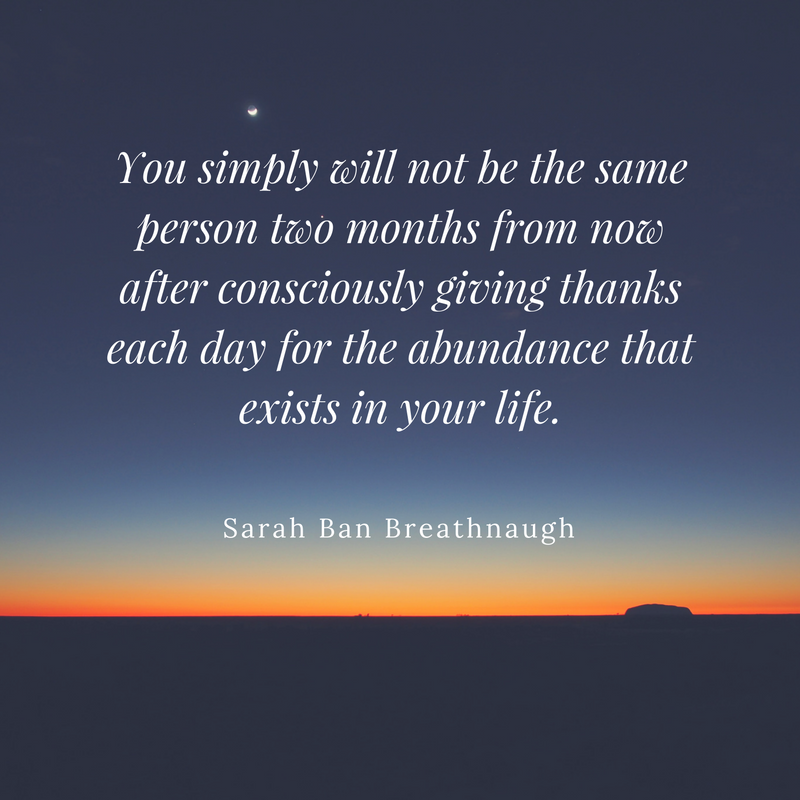 If the year is moving so quickly, you must take advantage of this moment right now to begin the life you deserve. 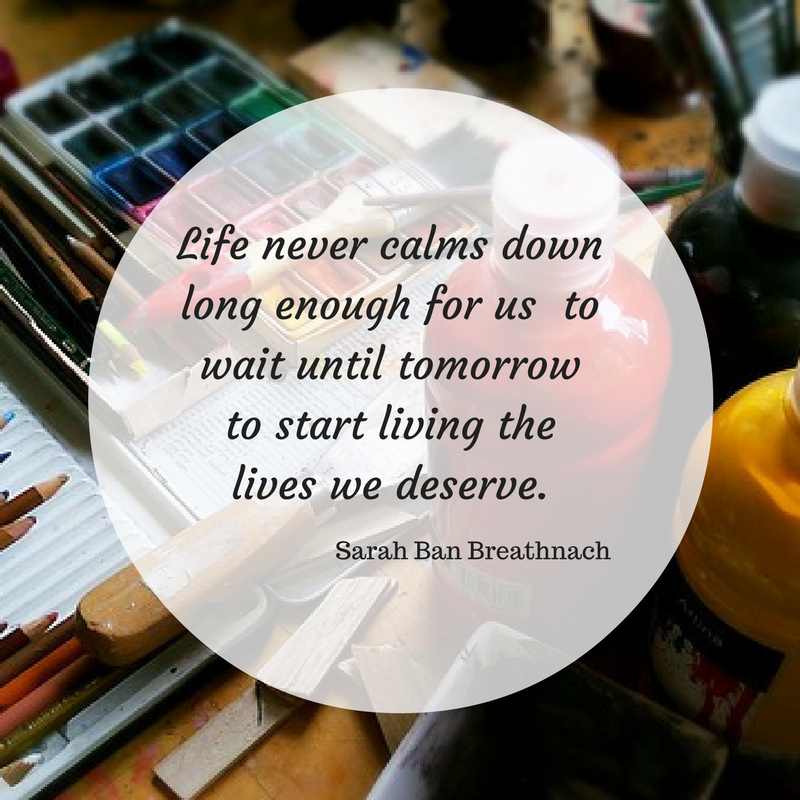 Spend a few quiet moments this week imaging such a life. Imagine what it is filled with. I love to journal. If you do to, write all those things down. Now look at your schedule and begin planning in the first step. If you want to learn to paint, maybe this week you go to the library and get a book on painting or sign up for a class or even go and buy the paints. Then plan your next step. It doesn’t have to be big to move you in the right direction. Soon you will notice that time expands to meet your needs. I promise. It is so good to sit down and write this note to you after so many months, while watching the Patriot’s win the AFC Championship. It’s almost like, yes…this is the way things should be. As anticipated, and as many of you know, the changes I knew would happen have come to pass. Today my life, my family and even my home is not what it was prior to Thanksgiving. I entered a whole new world on January 1st. It’s like being reborn. 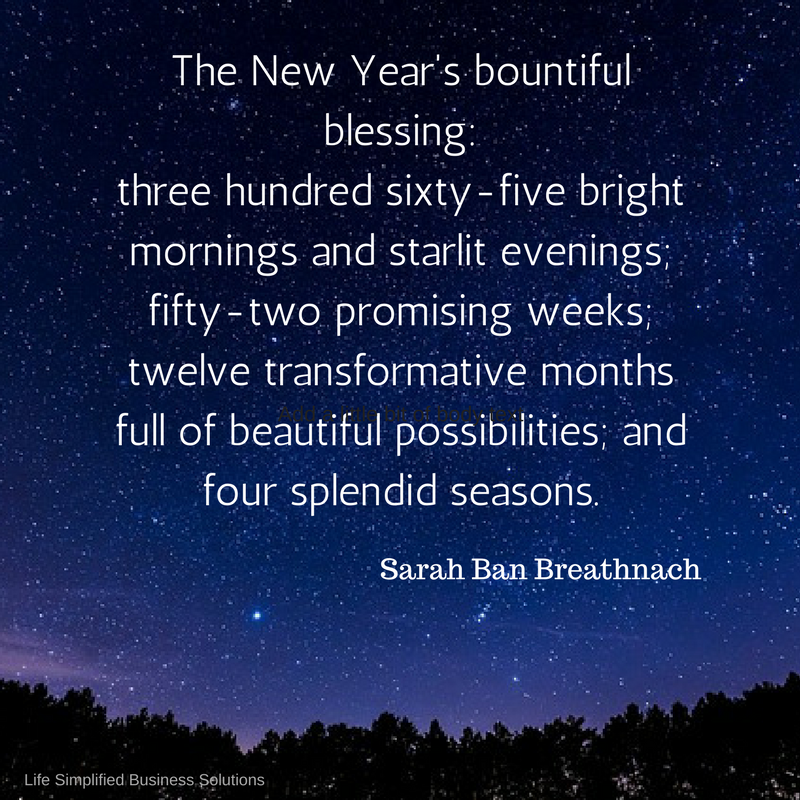 That is why I turned to my favorite new year quote from Sarah Ban Breathnach’s, Simple Abundance. It reminds me of the possibilities and wonder each day brings. It inspires me to stop and take a look at the moment, however joyous or sad it may be and celebrate. Take a couple minutes and watch a sunrise, gaze at the stars, breath the fresh air and let yourself feel the refreshing energy of the new year. If you set goals or resolutions on New Year’s day, re-look at them with these refreshed eyes. Make the commitments that enhance your life, and celebrate this moment when you can take action. Sign-up to receive our weekly Monday Morning Inspiration. It’s a great way to start the week! Please note – you will only receive Monday Morning Inspiration and nothing else. Promise. What’s All The Stress About? 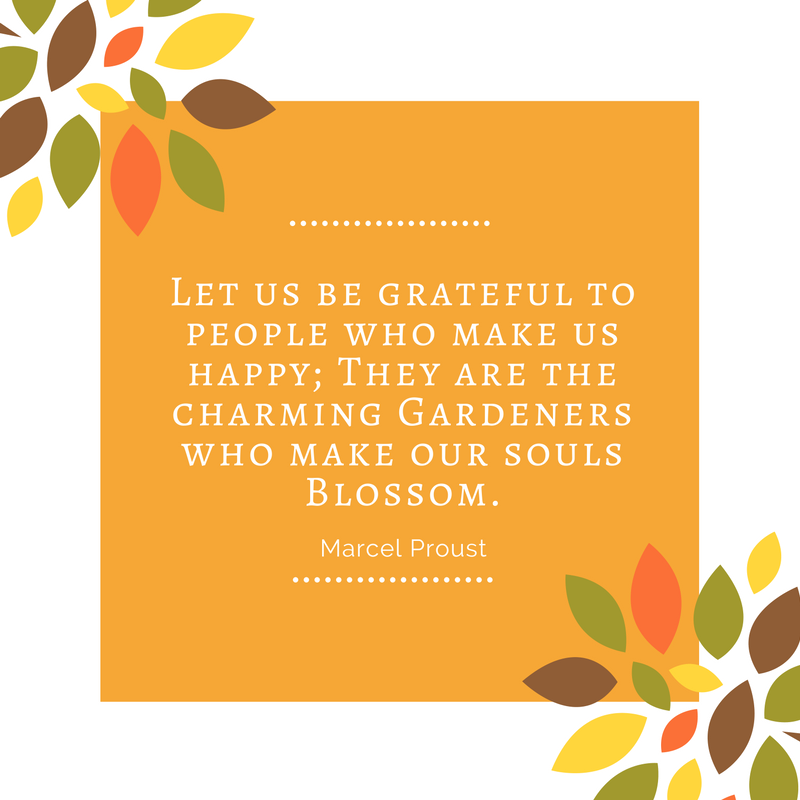 This week I wanted to go for a walk, hike or play in my garden as soon as the sun came out. Can you relate? What did I do instead? Worked. As the hours ticked by, I kept promising myself I would take a break and got outside. Instead I worked and worked and worked. By the end of the day I has exhausted, not by the work by the stress. 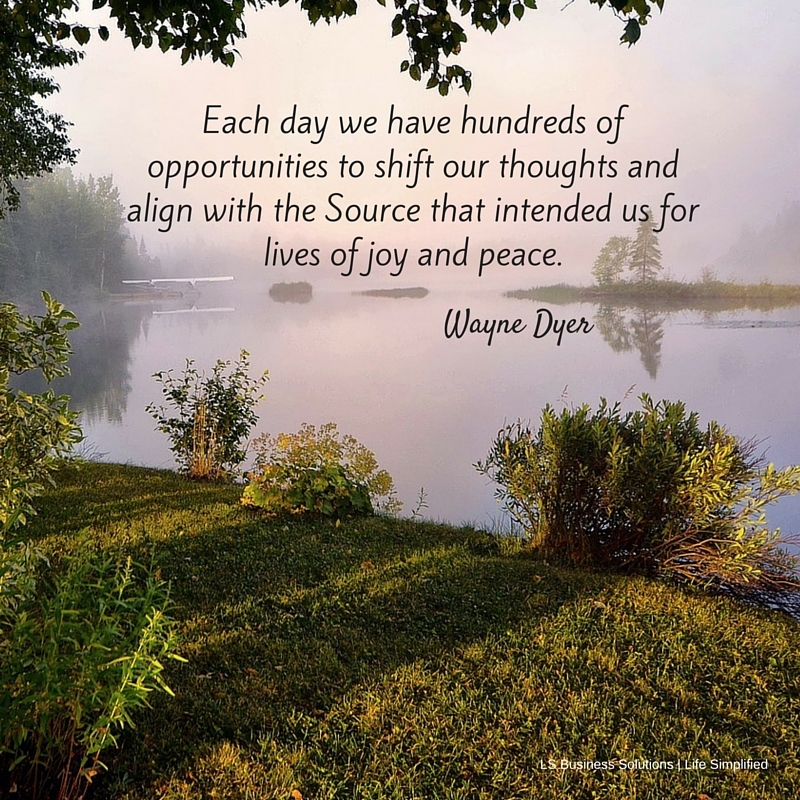 Wayne Dyer put it so well went he talked about how stress doesn’t exist. He would ask his students when he was teaching that he would pass anyone after the first day of class who could come to him with a bucket filled with stress. It is an impossible task. Yet, if you are like me, you have days where all you feel is stress. You have to run the kids to a million different places, present a proposal to a new client or perhaps have to have a difficult conversation with an employee. You find your heart beating faster. Your hands sweating. All you feel like doing is running. Sure signs of stress. What you can do is recognize it in the moment. Take a quick breather. Close your eyes, not while driving of course, and realign yourself with what is really important. Your kids, your clients, your employee. Then proceed. See if that reduces the stress you feel. This week try this simple technique and let me know if you reduce your stress. On May 24th Karen Benz and I are offering a personal and professional development half-day retreat as part of our Finding Inner Prosperity program. We’ve had a wonderful end to winter and early spring. Then it snowed, April 4th. My early-sprouting tulips were covered with several inches of snow. Yuck! As we week progressed, we went from snow to rain and finally to sunshine. You could feel the tulips shaking off the chill and re-positioning themselves to soak up the warmth of the spring sunshine. Would a zucchini have the same resistance? I venture to guess if you planted zucchini seeds in the fall as you do tulip bulbs, you would not be seeing zucchini sprouts in April. Even if by some strange chance they did sprout, 4 inches of snow would seal their demise. All of this seems common sense, but how many seeds of ideas do we sow at the wrong time. How many times have we wished for something that we actually weren’t prepared to achieve. I think about my own business and although several years ago I would love to have the success I enjoy today, truth is I wouldn’t have been able to handle it. 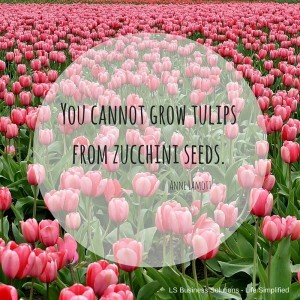 As you stretch yourself this spring, think about the seeds you want to sow. In the non-gardening world these would be goals, projects, etc. Are they realistic for this time in your career or in your business? Are you prepared to endure the potential snow storm that may befall them. When you plant the seed at the right time, provide it with what it requires and nurture it, you are blessed with a fruitful harvest. When you plant to early, you only experience frustration, exhaustion and regret. This week review your goals from the beginning of the year. Visualize yourself achieving the goal today. What does it look like? How does it feel? Do you have the systems in place to make things run smoothly? Do you have the time and energy to sustain them? Use this time to revise your goals if needed. Perhaps you scale back to make them more realistic. Perhaps you ramp them up because you know you can do even more. Whatever your situation, it is important to review our goals in real time to ensure we have what it takes to not only enjoy the tulips now but reap the zucchini later this summer. 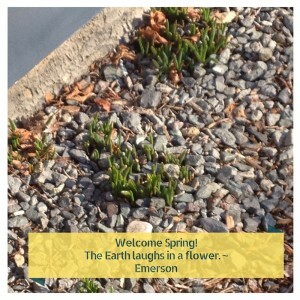 It’s day three of my daily gratitude journey, and look what appeared after the snow melted away yesterday! This is always the first sign of spring for me, the Grape Hyacinths have sprouted. I can’t believe it. There’s nothing more joy filled than seeing Spring arrive when you least expect it. I was so excited I started planning to put out the porch furniture! 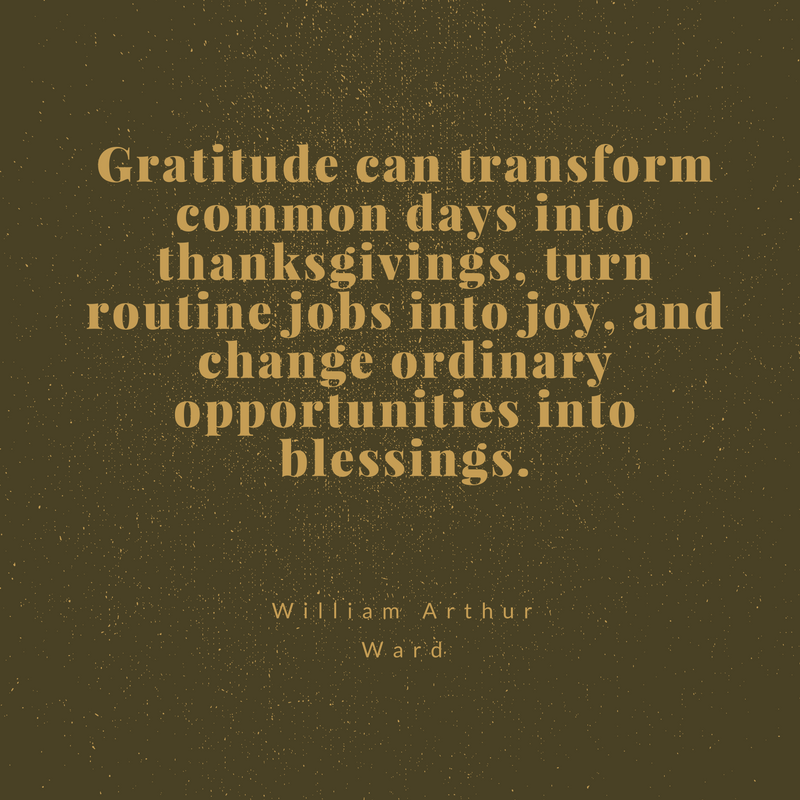 Today I’m also grateful for a good day’s work. Because of all that is going on in my life, having a full day devoted to catching up feels like a treasure. Although tired right now, it’s a good tired. I also had time to sneak out and get a haircut today as well. Finishing today with a satisfied sigh. What about you?